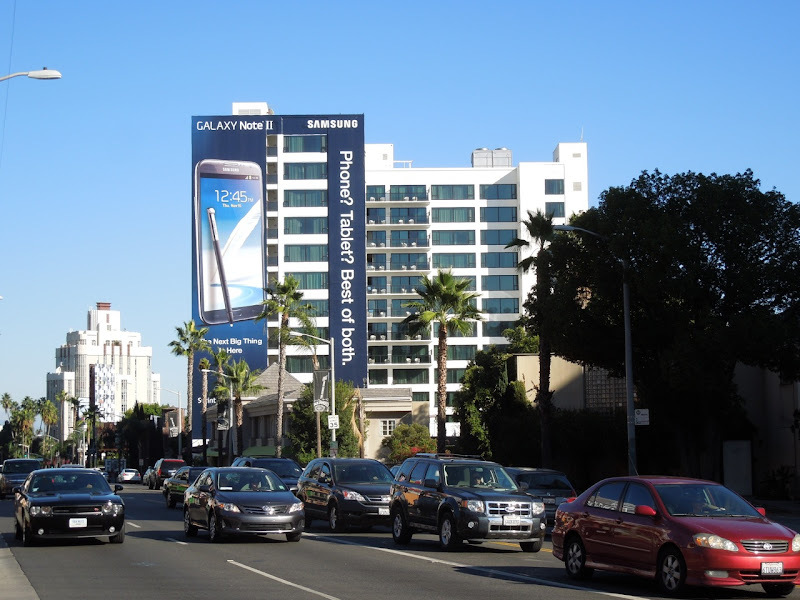 You may have noticed the increase of technology and telecommunications advertisers of late here at Daily Billboard, but there's one company who's had a presence since early this year and not just in this mad run up to Christmas. It appears that Samsung, who overtook Nokia in mobile phone sales earlier this year and who has also been outperforming Apple in smartphone sales of late, has seen all their advertising pay off for its Galaxy SIII and Galaxy Note products. 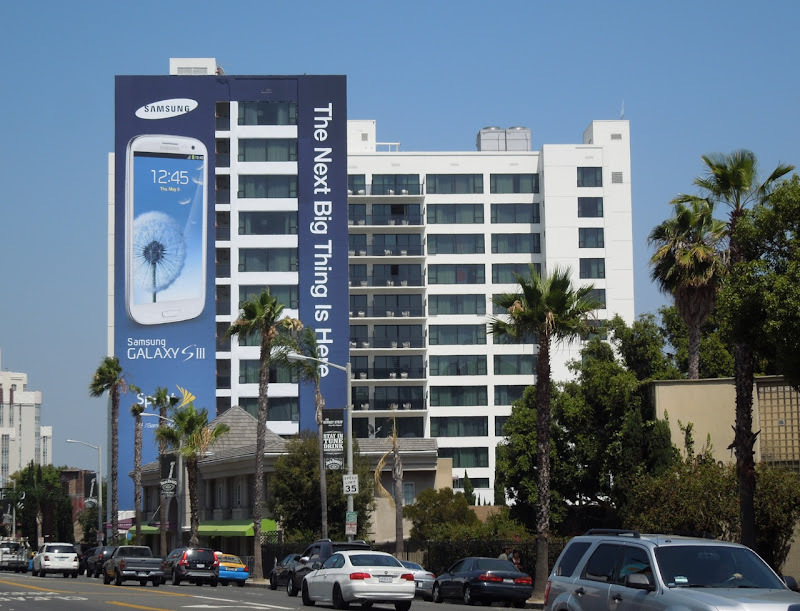 Samsung have monopolised this giant ad site on the side of the swanky Mondrian Hotel along Sunset Boulevard since they replaced the Rock of Ages movie billboard in July this year. 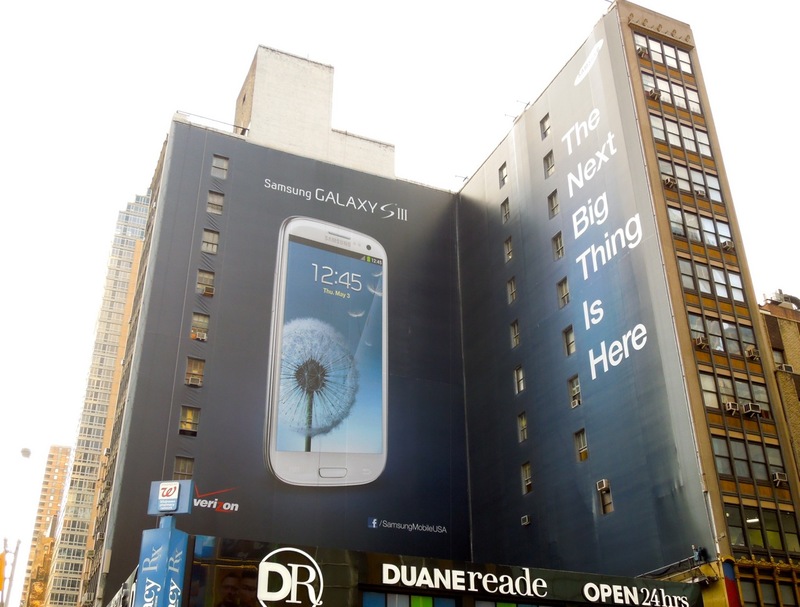 And it's not just in L.A. that Samsung wants to make a big statement, as Daily Billboard also spied this super-sized wall wrap for the Galaxy SIII smartphone in New York City on August 27, 2012. 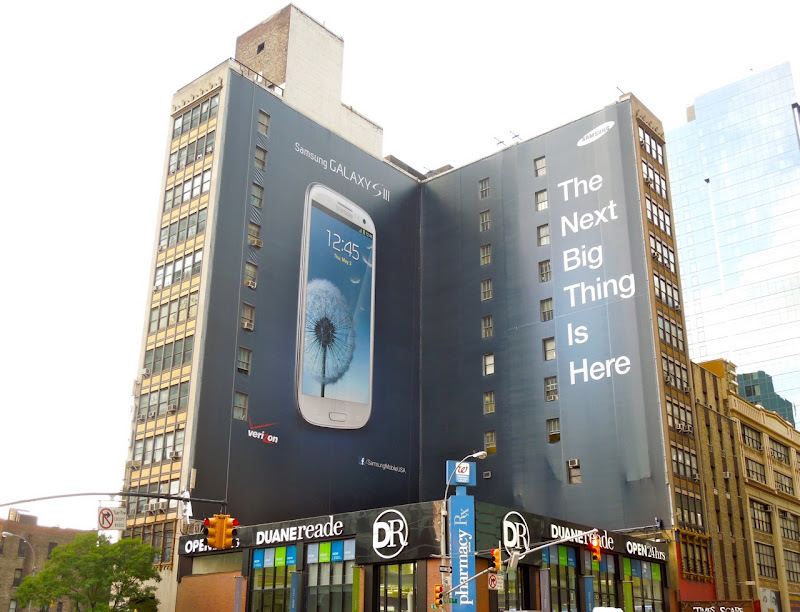 Their wallscape for 'The Next Big Thing is Here' ad was photographed on July 5 and debuted a new bold blue creative for the brand. 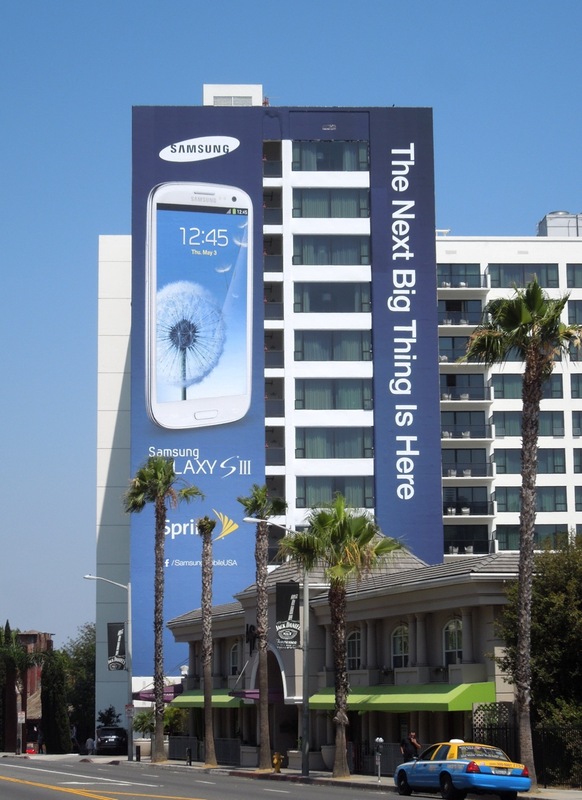 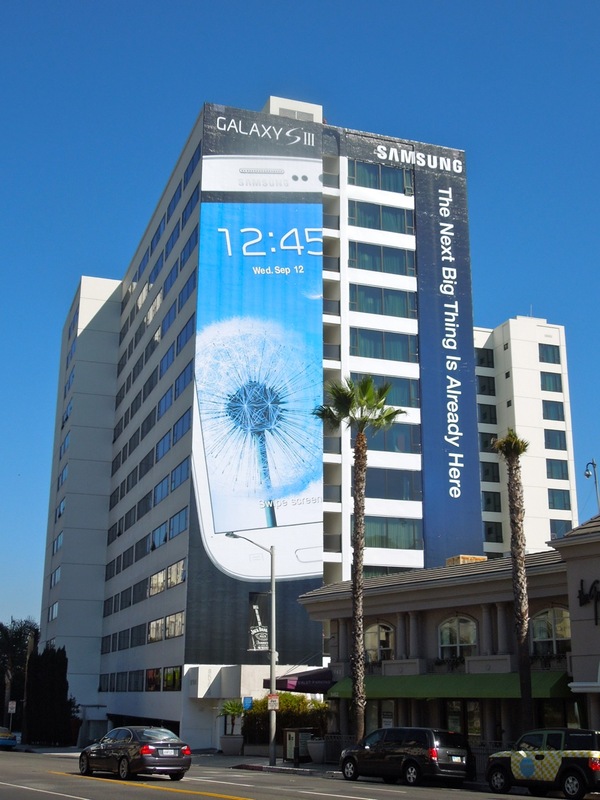 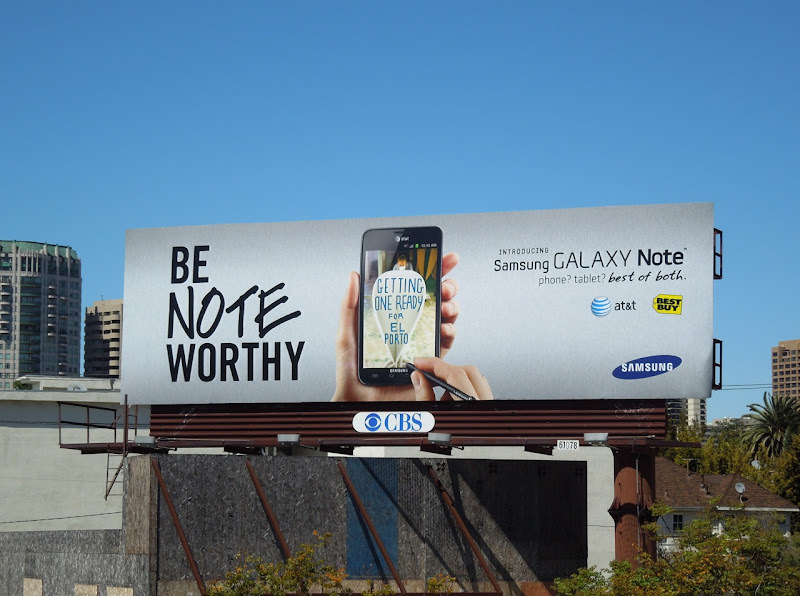 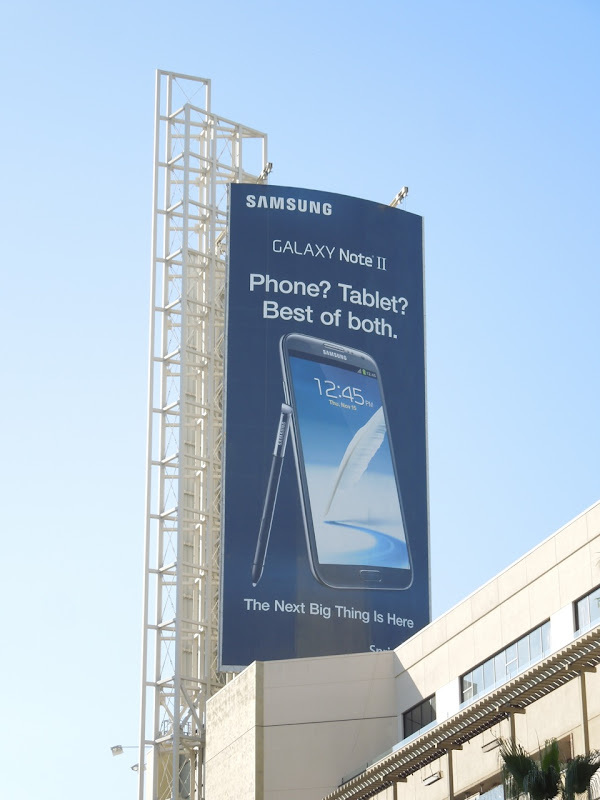 Samsung had previously introduced its Galaxy Note with the 'Be Note Worthy' ad campaign around the streets of Los Angeles, like this example snapped along Santa Monica Boulevard on April 1, 2012. 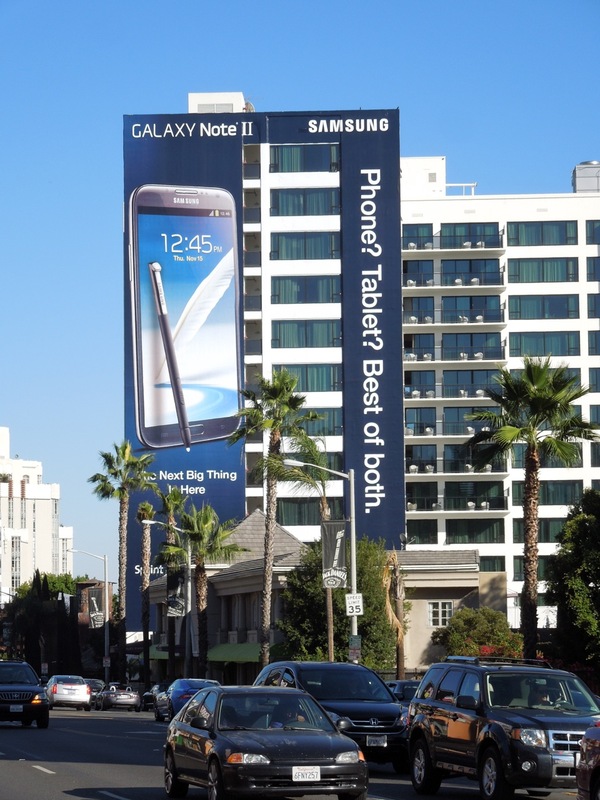 Meanwhile the latest billboard to appear in Los Angeles is for the Galaxy Note II in their new brand colours, which claims to be the best of both worlds when it comes to the debate over tablet versus smartphone. 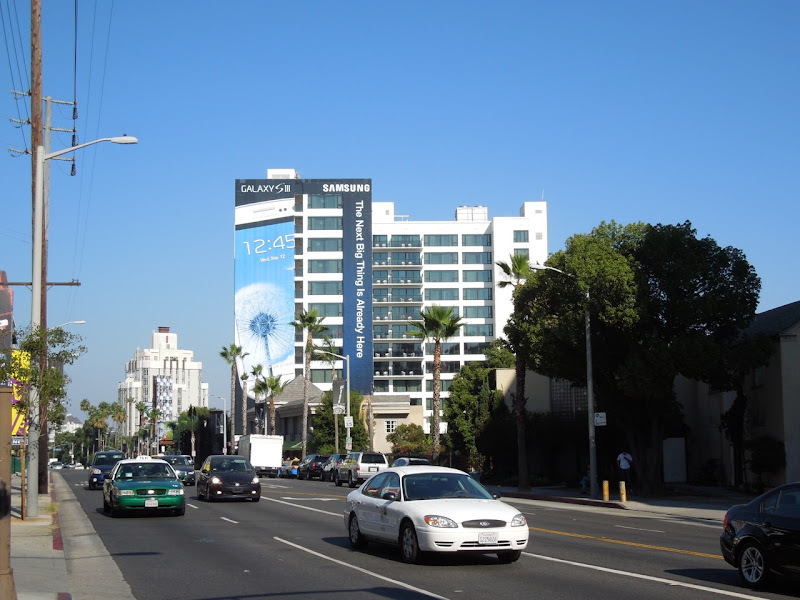 Daily Billboard will be watching this space in the months to come to see what super-sized message will be the next big thing to be filling the skies along the Sunset Strip. 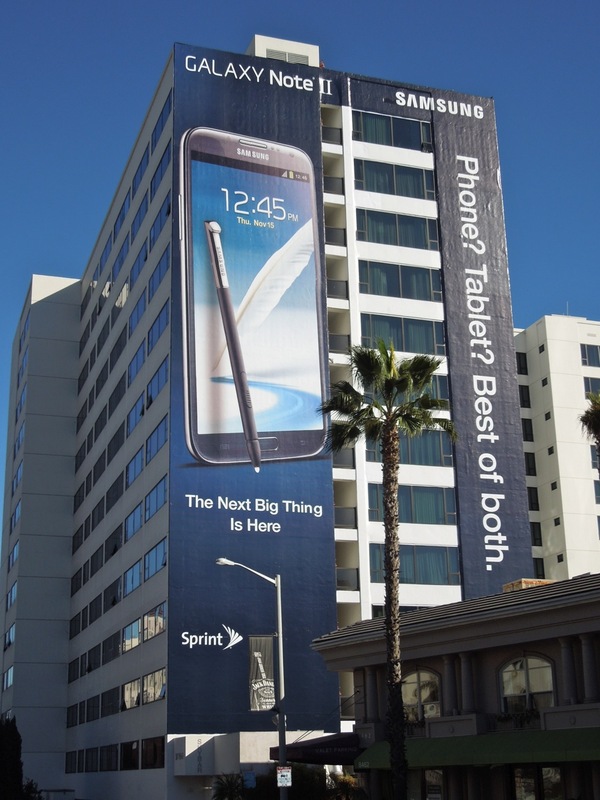 UPDATED: Here's a smaller creative for the Samsung Galaxy Note II flying high over Hollywood & Highland on December 5, 2012.